A deck that is shrouded in mystery, Hidden invokes the symbolism of secretive societies. 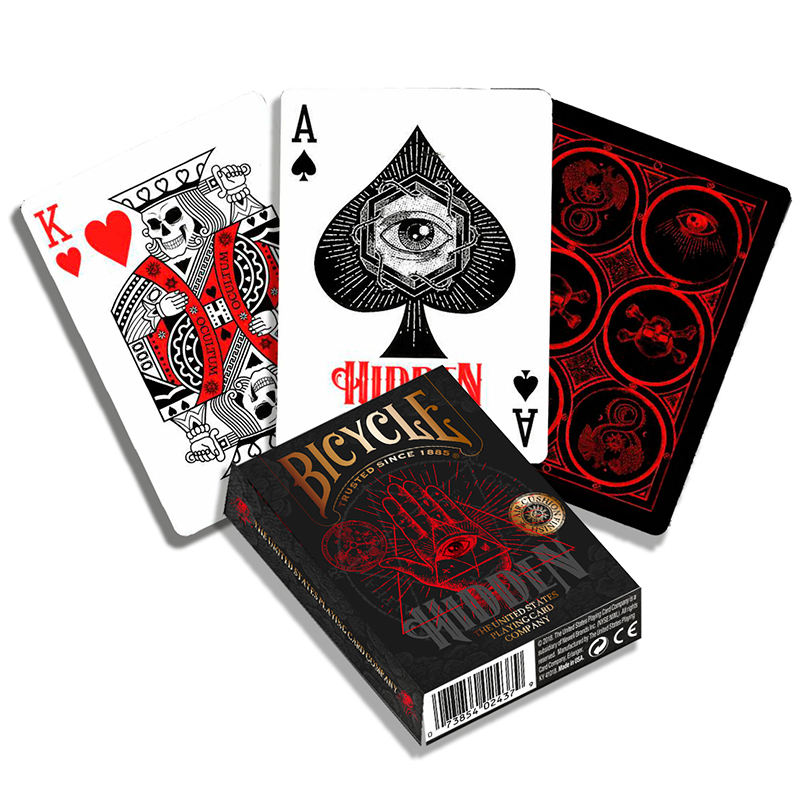 Let Bicycle playing cards be your guide through the world of mysterious symbols. These playing cards feature designs inspired by societies that use various signs and passwords to safeguard their best-kept secrets. While deeper investigation by truth seekers have made these symbols more recognizable to most, their secrets remain Hidden. Secret Societies - inspired card backs and ace of spades and illustrated custom court cards reflecting the symbols of Freemasonry. - Made in the USA. - Printed on premium Bicycle brand cardstock. - Classic Air-Cushion Finish for ease of shuffling and optimum performance. • The cards are poker size and of the usual Bicycle quality.